Another great film screened at LACMA this week. 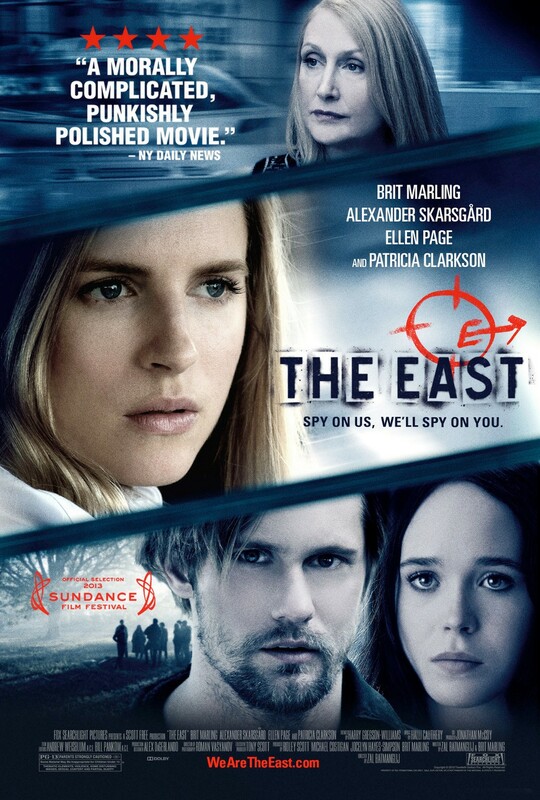 The East is the story of Jane Owen (Brit Marling), an undercover operative for an elite private intelligence firm, directed to infiltrate an anarchist group known as The East who target and covertly attack large corporations for crimes and abuses against society and the environment. Telling you any more might diminish the beauty of how this story unfolds and I don’t want to do that. 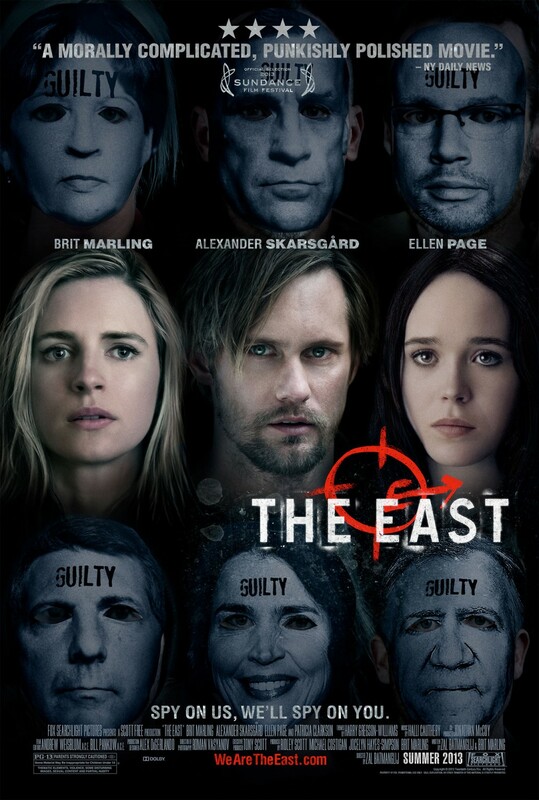 The film also features terrific performances by Ellen Page, Alexander Skarsgård and Patricia Clarkson, along with Jason Ritter and Julia Ormond. 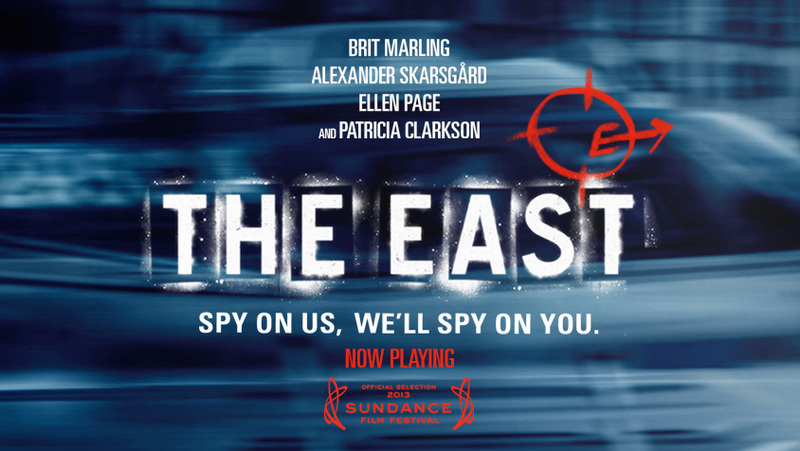 This very thought provoking espionage thriller is a film that you don’t just watch; you feel your way through it. It also features some extremely chilling music, in particular, a piano piece by Zal’s brother Rostam Batmanglij who you might know from Vampire Weekend. After the screening, director/writer Zal Batmanglij, actress/writer Brit Marling, and actress Ellen Page took the stage to answer questions. It’s remarkable that the entire film was shot in 26 days, and one of the more complicated scenes of a surgery was shot in just three hours which would normally take about 2 or 3 days. 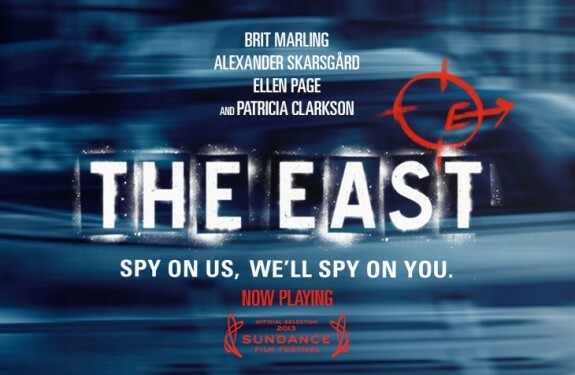 Although it wasn’t discussed last night, according to IMDb, during the summer of 2009 while Batmanglij and Marling were down on their luck, they hopped trains and hung out with “anarchists” allowing them both to utilize those experiences in their film, The East. This is a film that tells a story, but it also makes you think about something that should matter to everyone. It’s a film that’s actually about something real and meaningful, and it dares to challenge how we think about things and perhaps even how we choose to live our lives. It’s a great piece of cinema and I recommend it to everyone. The East is EXACTLY the sort of film I’d like to make someday.